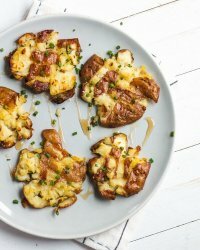 Crispy and salty roasted smashed potatoes, paired with the fruity, nuanced sweet drizzle and the green bite of chives. It’s not only visually stunning but seriously tasty. We’re going to take some fresh and delicious ingredients and give them an Italian makeover! Crisp, yet tender asparagus and light lemon flavor that’s blended with parmesan and creamy al dente Arborio rice that has absorbed all the yummy flavors it’s been cooked in. Heavenly. Alessi Porcini Mushroom Farro is the perfect flavor complement that of eggplant. 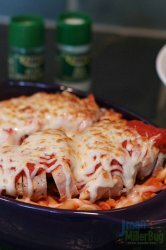 This dish goes great with nearly any meal and will have your guests coming back for seconds. This delightful dish is a great alternative to a salad to accompany your dinner today. The combination of balsamic vinegar, feta cheese and Beets and Spinach Farro make it a refreshing, yet filling dish. With the ever-growing popularity of kale and butternut squash, Alessi Butternut Squash and Kale Farro is a popular choice. 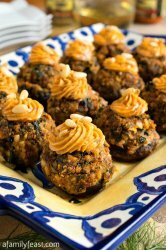 Pair it with the delicious crunch of pine nuts and the flavor of parsley and you've got a dish that's sure to please!